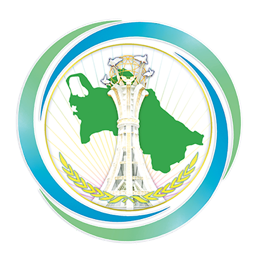 On January 11, 2019, a briefing was held in the Ministry of Foreign Affairs of Turkmenistan in the framework of prepartation to the second International Conference on the “Prevention and Control of Noncommunicable Diseases” to be held on April 9-10, 2019 in Ashgabat, based on the Decree of the President of Turkmenistan Gurbanguly Berdimuhamedov. The meeting was attended by the heads of the Ministry of Health and Medical Industry, the Ministry of Foreign Affairs of Turkmenistan, as well as the heads of relevant ministries and departments, diplomatic missions and international organizations, foreign journalists accredited in Turkmenistan and representatives of local mass media attended the meeting. The Minister of Health and Medical Industry of Turkmenistan Mr. N.Amannepesov and the World Health Organization Representative in Turkmenistan, Dr. Paulina Karwowska gave speeches during the meeting. The speakers noted about the realization of the commitments taken during the UN High-level Meeting on Non-communicable Diseases and the assistance to be given to relevant countries to attain practical results. In addition, discussions took place aimed at conducting the upcoming international conference on high organizational level.